Estonian Folks have been operated for some time now, but under the name London Estonian Society Folk Dance. Mentoring and support is big part of our community. Start living abroad might be difficult. It is important to contact with wise ones, who have gone trought the same things and can offer advise and support. 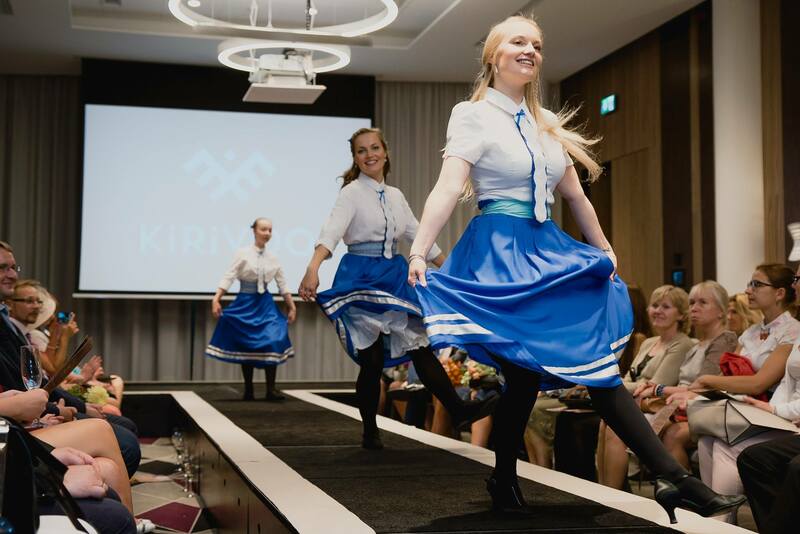 Estonian Folks girls are wearing KiRiVOO Katariina ties when performing. KiRiVOO is designer clothing that is ethically manufactured from sustainable fabrics. Handmade in Estonia. KiRiOO founder Ines Karu-Salo has said: "they are so active and inspiring group and we are very grateful for such a wonderful, already a year long, collaboration." EF girls dancing on Kirivoo launging party in Hilton Hotel Tallinn.